Buy All-in-one Brother MFC 420cn with CISS with CISS and make 30 times more quality prints for the same money! Pay only 0.04 USD for A-4 full color print! Brother MFC 420cn printer includes a compact ink-jet printer of All-in-One series which will completely suit home or a little office with not many users. 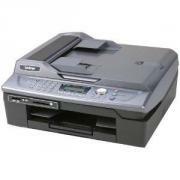 Embedded fax gives an opportunity of transmission and accepting documents without PC using. A colored LCD with 1,9 inch diagonal which is located on the control panel is perfect for viewing pictures, it has a menu which is easy in use. 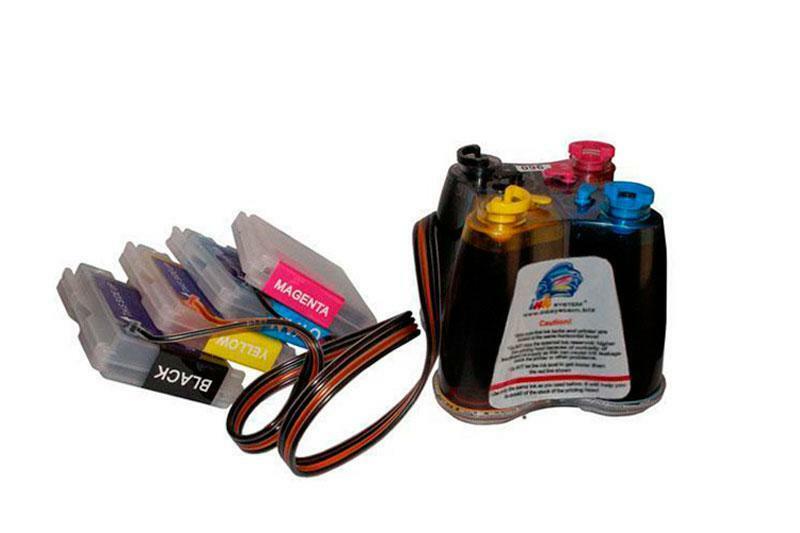 You are able to print straight from media storages like digital camera or flash drives. The device will suit perfectly for office work or working at home at any moment when you need an available fax, copier, scanning device or printer. Brother printers MFC 420cn of All-in-One class is of compact ones and allows printing and connecting using Wi-Fi interface. Printer MFC-420cn Brother is quite silent, it has no gap components. It is a multifunctional device which is able to work with a computer and with no necessity to connect to PC and is easily used. Thus, you can print with no afford photos without fields, letters, recipes, do homework or print other documents. The device gives ability of printing directly from memory storages, connecting to personal computer like Brother DCP-110C and Brother MFC-J270W wireless all-in-one printer - its class fellows. Onboard card reader lets the customer of this MFP copying and scanning directly from flash cards. Imbedded fax operates on data at the 14,4 Kbps speed, it is needful to notice that it is free-running. The All-in-One device has the resolution 6000 x 1200 dpi no matter if photos or other prints are colored. Its printing speed achieves 33 pages/min in monochromatic perfomance and up to 27 pages/min in color printing mode. It is easy enough to work with paper because of the 100 paper tray for A4 (8,5 x 14,0") format of paper. Brother printer MFC 420cn has an elegant design which doesn't take much place. That means it could be easily placed on a shelf or a desktop. This fact was not omitted by the users in such cities as New-York, Chicago, Florida, Miami, and Washington. Fast colored print. MFD manages to print with the speed 33 pages/min in mono and up to 27 pages/min in color printing. Direct printing of photos. Photos print is executed directly from portable media storages or a digital camera. All-purpose scanning means. Scanning Software is plain in usage and allows to scan straight to your memory card. A colored LC-display 1,9 inch. Brother Photo Capture Center lets to view pictures from portable media storages before printing. Rand facilities of the printer give an ability of copying documents of non-standard forms and also thick books. You need not use the computer for transmission and accepting documents. Fax with 14,4 Kbps speed is tooled with the following functions: ANI, outer interface TAD, automatic identification of incoming calls, fax transmission only in mono performance, automatic calling fax or telephone switch and 170 pages of fax memory. Brother MFC 420cn wireless inkjet all-in-one printer uses economy cartridges which include an ink block which consists of four ink tanks. You have to change only the color which ended. Original software is supplied in complex with the MFD to make scanned documents more administrated. It is compatible with Mac and OS Windows. A factory software package is Scan Soft Paper Port SE v11 with OCR, visual recognition of such symbols as Presto, Nuance, Page Manager with OC-recognition. Carton Weight (lbs)	15.6 lbs. Unit Dimensions (W"xD"xH")	15.3" x 15.8" x 6.5"